have a satisfactory credit history (we'll do a credit check during your sign-up). 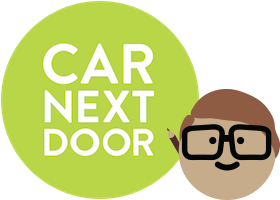 If you're aged between 18 and 20, you can join Car Next Door provided you hold a full licence (no provisional licences or P plates). If you're under 21 you will only be able to book a limited number of cars in the City of Sydney. Once you turn 21 you will have access to our full fleet of cars, vans and utes across Australia. This age restriction is due to our insurance requirements. You are still very welcome to join Car Next Door! See our information for international drivers. Our insurance only covers fully licensed drivers, so if you hold a provisional licence or are on your P plates (red or green) you won’t be able to use Car Next Door right now. Once you come off your P plates and hold a full licence you’ll be eligible to join and book cars. If you are involved in a traffic incident or commit a traffic violation while you are a member of Car Next Door, you must tell either us about it or cancel your membership. In the event of an insurance claim, we will request a copy of your official driving record. If it turns out that you have not given us all of the relevant information about your driving history, you may not be covered by our insurance policy. I would like to know if my daughter, who at this point in time lives in Singapore but holds a full NSW license and is a Permanent resident of Australia and is married Australian, can drive a CND car?